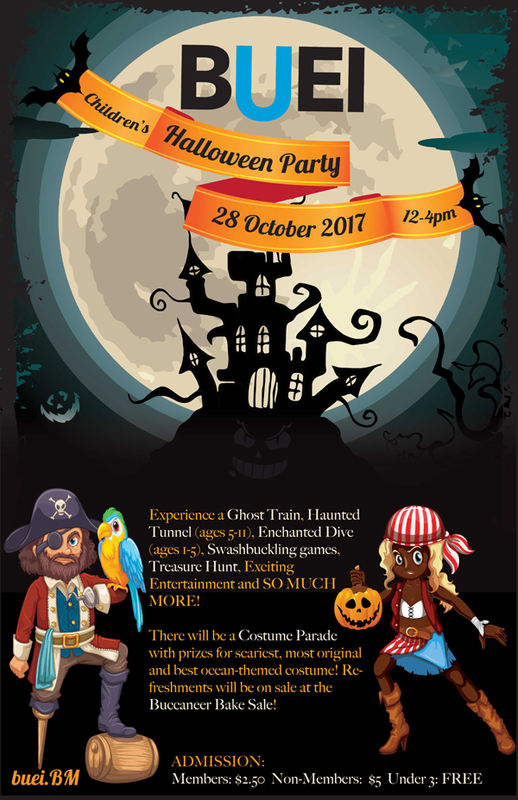 The Bermuda Underwater Exploration Institute [BUEI] is getting set to host a Children’s Halloween Party on Saturday, October 28 from 12.00pm to 4.00pm. The event poster says, “Experience a ghost train, haunted tunnel [ages 5-11], enchanted dive [ages 1-5], swashbuckling games, treasure hunt, exciting entertainment and so much more! Admission for members is $2.50, while the cost is $5 for non-members; children under 3-years-old get in for free. For more information, visit the BUEI website.